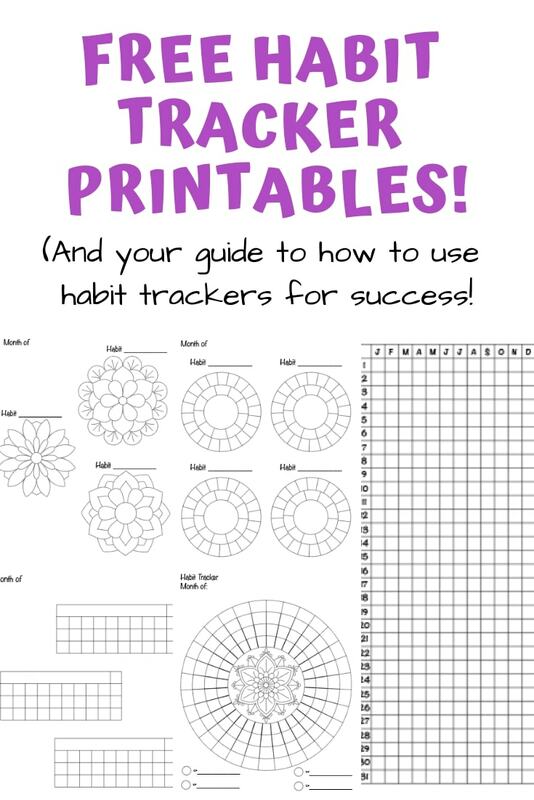 Grab these free habit tracker printables and take a look at how to use habit trackers for success! Maybe you’ve seen habit trackers on Instagram or Pinterest, heard about them from a friend, or read about them in a book like Deep Work. Today we’ll be taking a look at the popular habit tracker idea, how habit trackers work, how to use a habit tracker, and ideas for habits to track. Then, of course, there are your free habit tracker printables! 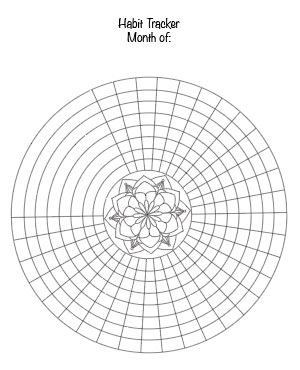 The printable habit trackers I could find for free online were all pretty basic, so I made a variety of habit trackers for you, including monthly habit trackers, weekly habit trackers, mini habit trackers, and mandala habit trackers! In short, a habit tracker is a tool that gives you a place to record when you meet a specific goal. It gives you a visual record of when you did, or did not, meet your goals. Usually when people refer to a habit tracker, they mean a chart of some kind in a journal or planner, but other things can serve as habit trackers, too. For example, a large water bottle with marks to remind you to drink water and that allows you to see how much water you’ve consumed that day could be considered a habit tracker! For the purposes of this post, we’ll be talking about the pen and paper type of habit tracker (like the free printables below!). Like any tool, a habit tracker only works if you do. Simply printing a habit tracker out and leaving it buried under a stack of papers on your desk won’t accomplish anything! When used consistently, a simple habit tracker is a powerful tool that helps you stay accountable. You can quickly see, at a glance, what you have or haven’t done. 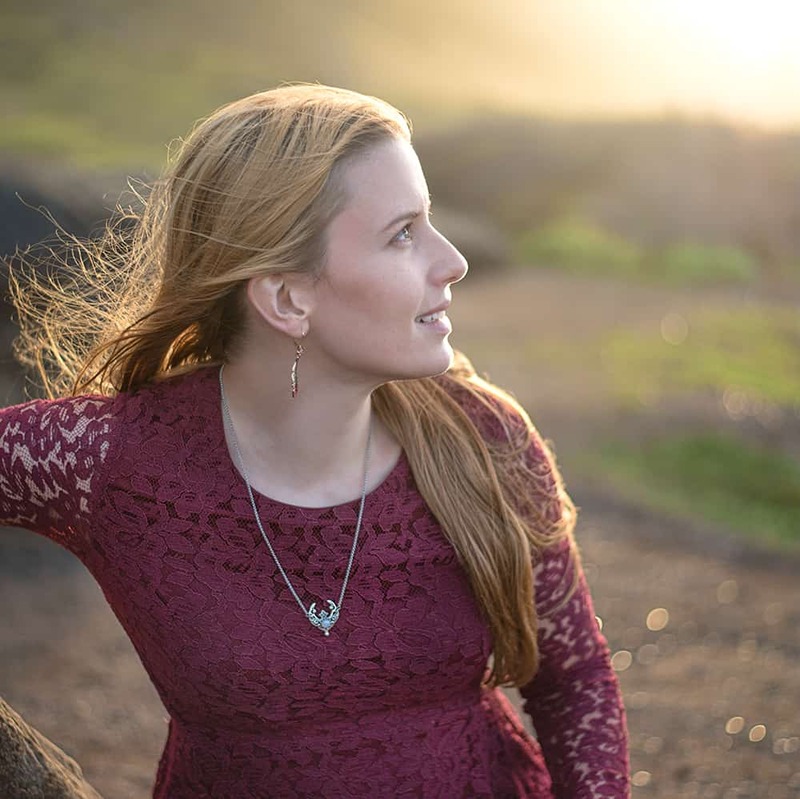 Using a habit tracker removes the supposition and guesswork. Habit trackers can also help motivate you to actually achieve your goals because you don’t want to lose your streak or see a glaring white spot on your tracker! Forming a habit can take a long time and the results can seem slow to appear. Using a habit tracker helps keep you accountable and on track until the habit is internalized and/or you start seeing the results to desire. Habit trackers can also help you see what is and isn’t working. For example, if you consistently fall short of meeting a goal, you know it’s time to reevaluate your goal or something about your routine. Using a habit tracker is super simple! First, select the right type of habit tracker for the job. Weekly and monthly habit trackers are very popular and let you see, at a glance, how frequently you achieved a particular goal. Simply label your tracker with what you want to track then shade in the appropriate box when you meet your goal! Mini trackers are great for tracking single habits and larger trackers give you space to track several different things on the same chart. You can also use habit trackers for more occasional things, like washing your sheets or changing your home air filters. 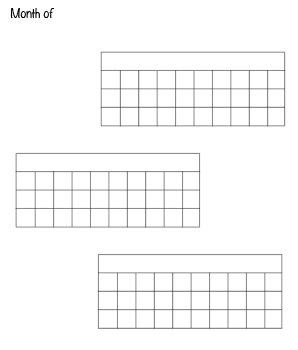 You can track these in an annual tracker by shading a box or with a tracker that gives you space to write in the date. You could also use a mini tracker with just one box per week instead of a box per day. 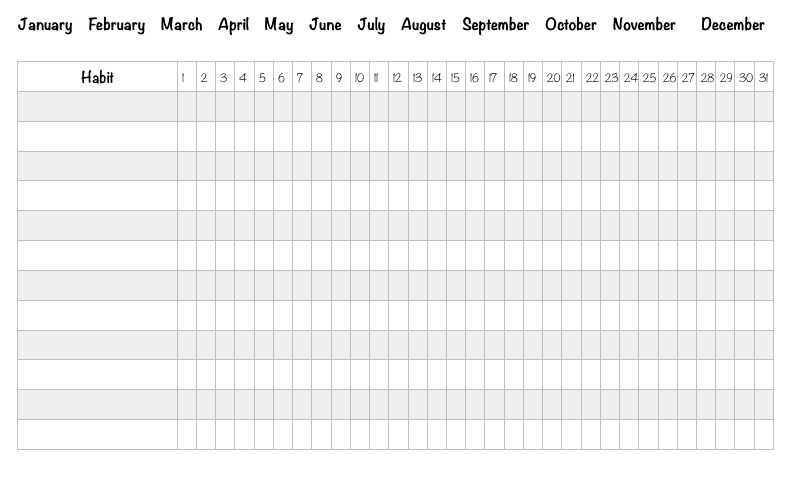 You can also use an annual tracker with 365 boxes to keep track of a single habit for the entire year! This is a great idea for things you want to do every single day like drink adequate water, write in a gratitude journal, or floss your teeth. 365 days at a glance trackers are also great as mood trackers. Then actually use your habit tracker! To make your habit tracker more effective, don’t just check off each box. Instead, shade it in using your favorite markers or pens! That way the impact of missing a day is much more noticeable. The Staedtler fineliner pens are great for journaling and coloring. If you haven’t checked them out yet, you should! For ease of use, these ideas of what to track in your planner are broken into categories! Fertilized garden, flowers, lawn, etc. Here’s what you’ve been waiting for – your free habit tracker printables! This page will be updated as I create more free habit tracker printables in the future, so make sure to Pin it and check back in the future to see if there’s anything new! These images are just low resolution previews, not the printable PDFs. Please keep reading for the download information! 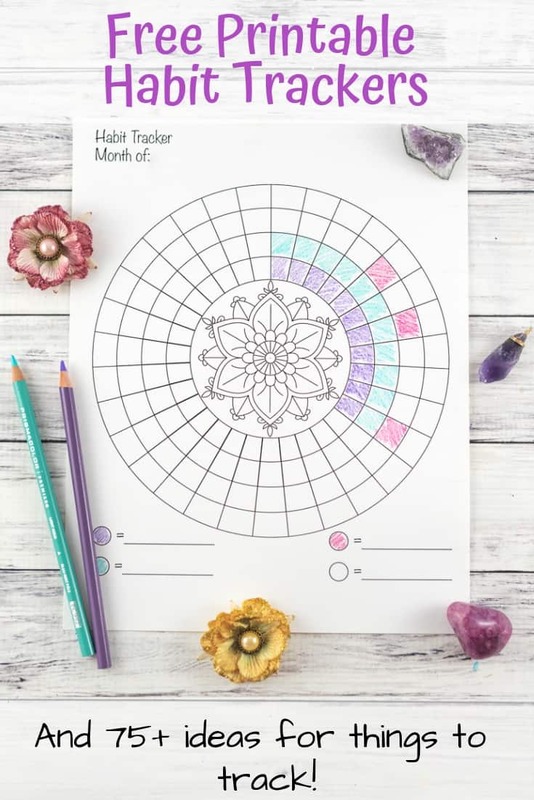 There’s a circular habit tracker for four habits with a small mandala to color in the center. 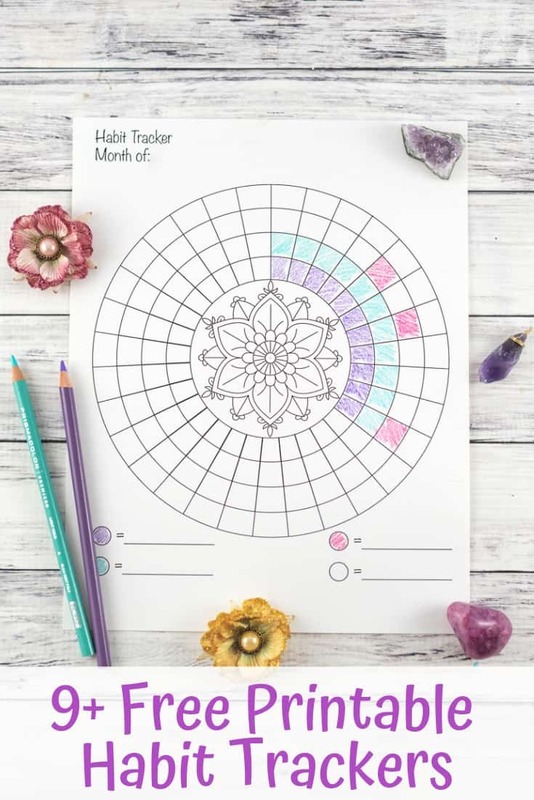 Here’s another circular habit tracker with a mandala to color. Because there’s no spot in the circle to write what you’re tracking, there are bubbles to fill in so you can color code your tracker (for example, you might use blue in one ring to track water, purple for getting to bed on time, etc.). This version is available with both 30 and 31 days! This page has three mini trackers for months with 30 days. These are great for tracking daily things each week like flossing, getting to bed on time, and workout goals. These little guys also work great as stickers! If you don’t have sticker paper, that’s fine – cut them out and glue then in place or leave a little margin and tape them down with some cute washi! 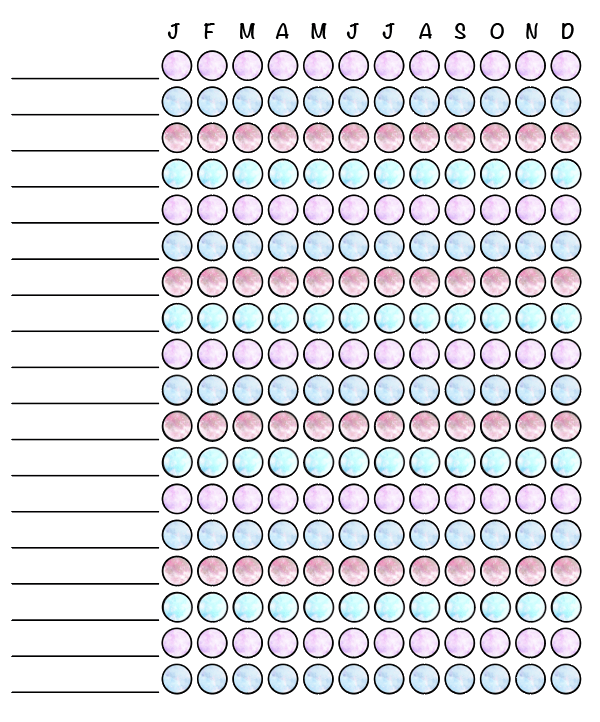 This version is the mini tracker for 31 day months. 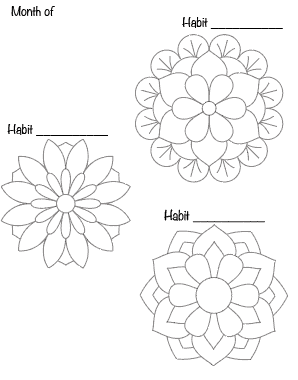 These floral mandala habit trackers are so much fun! 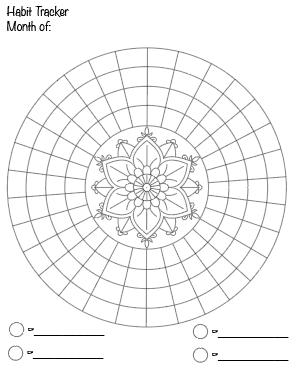 Each flower has 31 segments you can color (counting the center). 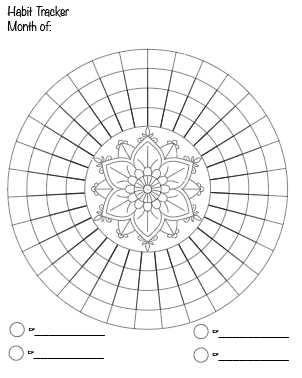 Label each mandala then color in the petals as you meet your goals! Tip: Instead of tracking four habits in one month with this page, you could also track the same habit over multiple months to see your progress! 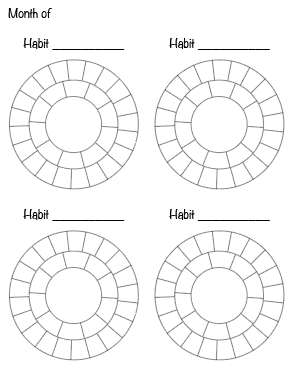 If flowers and mandalas aren’t your thing, these circular habit trackers with 31 days may be more your style! They’re simple and to the point. If you have lots of habits to track, then you’ll appreciate this monthly tracker with plenty of space to write in habits and tasks! This monthly checklist tracker is perfect for things like pet medication, changing air filters, getting a manicure, paying bills, and anything else you do periodically. If it’s something you need to do twice a month (like put in a new pair of contacts), you can simply write it down twice. I couldn’t resist making a version of the monthly checklist it with a splash of color, too! 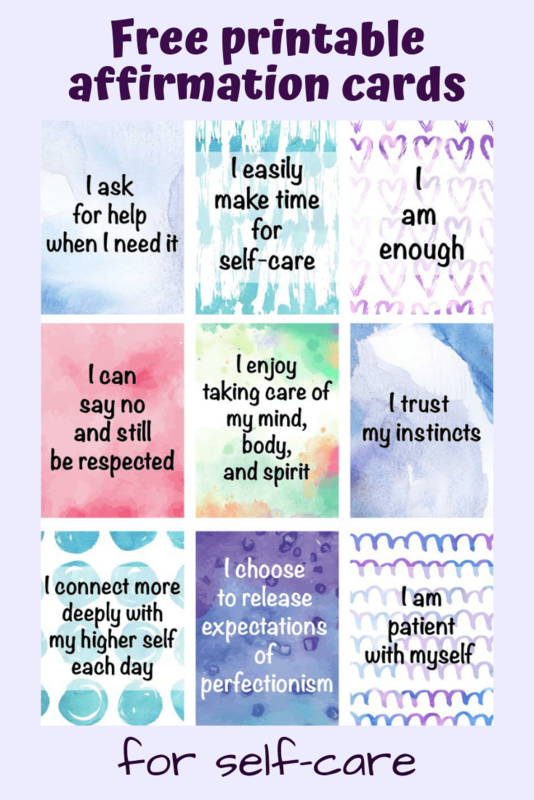 Like most Artisan Life printables, these habit trackers live in the member’s Resource Library. If you already have a password, head on over and log in! 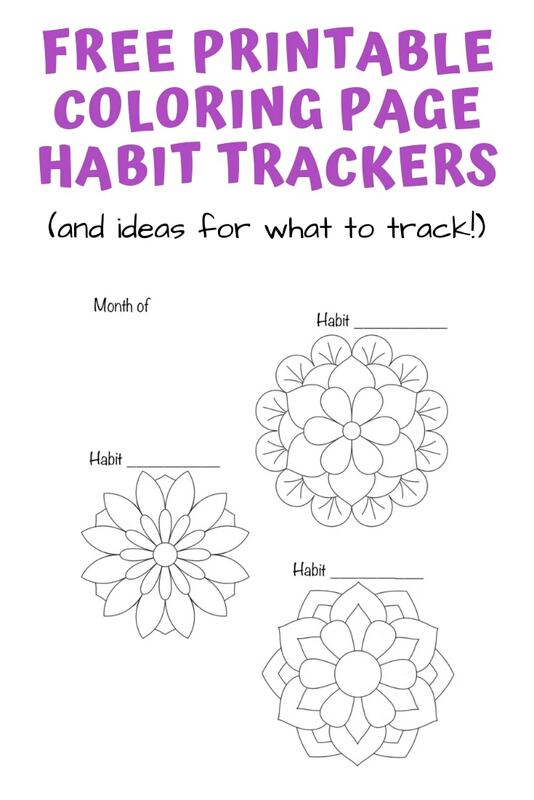 All of the habit trackers are in one PDF file for ease of use. Just download, unzip, and print the pages you want! If you don’t have a password yet, become a member using the form below and gain instant access to these printables along with everything else in the library! New things are added all the time so it’s a pretty fun place. 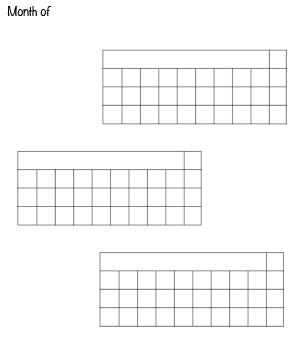 To resize a normal letter sized page for a Classic Happy Planner, print at 84%. To resize a letter sized printable for the Mini, print at 67%. 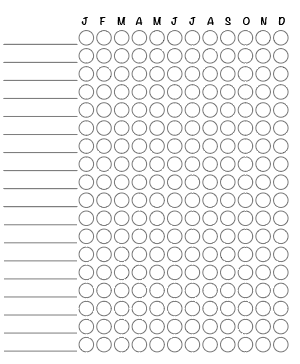 I don’t have one to confirm this, but word on the Internet is that you can resize letter printables for the Erin Condren Life Planner by printing at 84%. 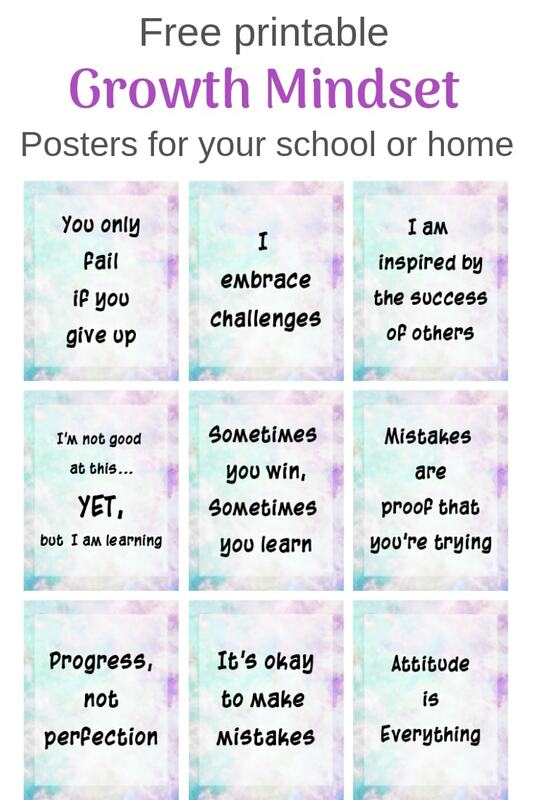 I absolutely love making printables! I have a debt tracker printables post in the works, and I’m planning to offer more planner and organization printables soon! If you have any requests, please leave a comment and let me know! Don’t lose track of these habit trackers! 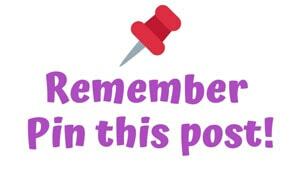 Make sure to Pin this post now! If you’ve made it all the way down here and you haven’t become an Artisan Life insider yet, what are you waiting for?! Join the thousands of people who are already getting access to awesome member’s only content by using the form below!